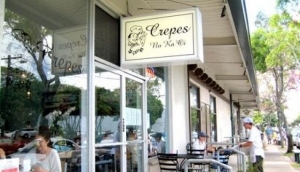 You might not associate French cuisine with restaurants in Hawaii. Yet, Hawaii will surprise you with a few dedicated French restaurants and a handful of restaurants with French influence in their menu. French restaurants in Hawaii are few, but a recommended experience. Try La Mer restaurant in Waikiki for a romantic restaurant experience or Du Vin in Honolulu's Chinatown with their French-themed patio.